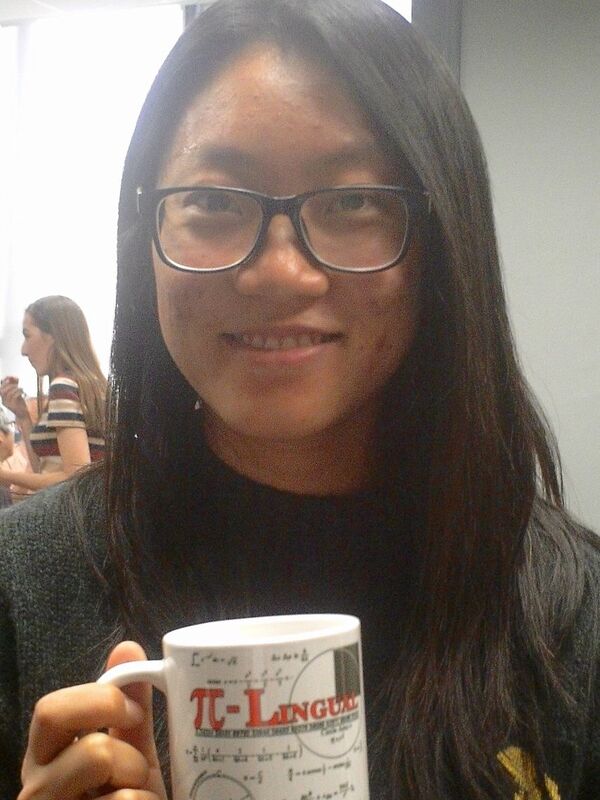 Chengcheng Zhai '18 holds a math mug gift for her service as Math Honorary Society Pi Mu Epsilon president and leader of the F&M Math Club during academic year 2017-18. Franklin & Marshall College’s Pennsylvania Eta Chapter of Pi Mu Epsilon (PME) welcomed 23 new members at its annual induction ceremony. Pi Mu Epsilon, a national mathematics honor society, promotes and recognizes mathematical scholarship among students in post-secondary institutions by electing members on an honorary basis according to their proficiency in mathematics and by engaging in activities designed to promote the mathematical and scholarly development of its members. 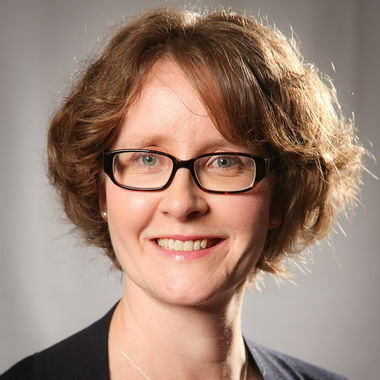 Kaitlin Leach '09, a math acquisitions editor with Cambridge University Press, addressed new PME members and guests for the Math Colloquium Series, which coincided with the society's induction. Standing at right, Prof. Iwan Praton, F&M's coordinator of the joint talk series with Millersville University. Md Faisal Alam ’19, Abhishek Anand ‘19, Jinxin Chen ‘18, Xinyang Chen ’19, Yuanhang Chen ’19, Grace R. Cochrane ’19, Shuyuan Dong ’20, Kaela S. Drzewiecki ’18, Reed J. Kienzle ’20, Paul J. Kim ’19, Han K. Le ’19, Yinxi Li ’19, Weihan Lyu ’19, Frank H. Murray ’19, Emily Nagle ’19, Kyle M. Perezous ’20, Jonathan M. Shaheen ’19, Jonathon R. Sinton ’20, Yifei Sun ’19, Fangzhou Wei ’20, Qing Ye ’19, Yung Yu ’19, and Yuxi Zhu ’19. The group of Pi Mu Epsilon inductees for 2018 stands below the honor society's crest. 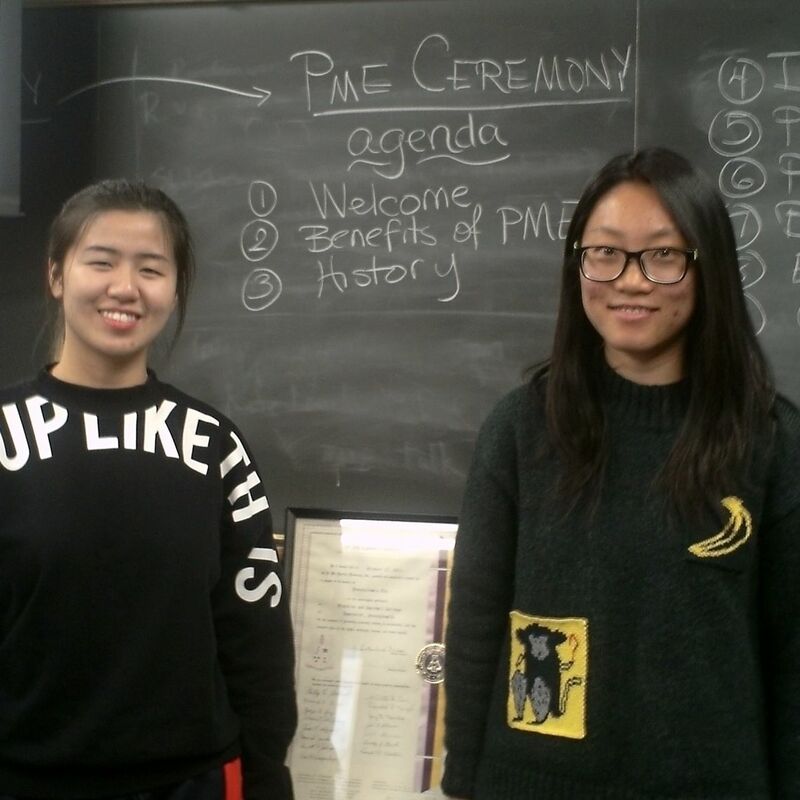 Yinxi Li '19, new Pi Mu Epsilon President for 2018-19, and outgoing President Chengcheng Zhai '18 stand beside the chapter's original charter that dates back to 1963. Eight students traveled to the EPaDel Spring Conference at Temple University. with Prof. Annalisa Crannell. 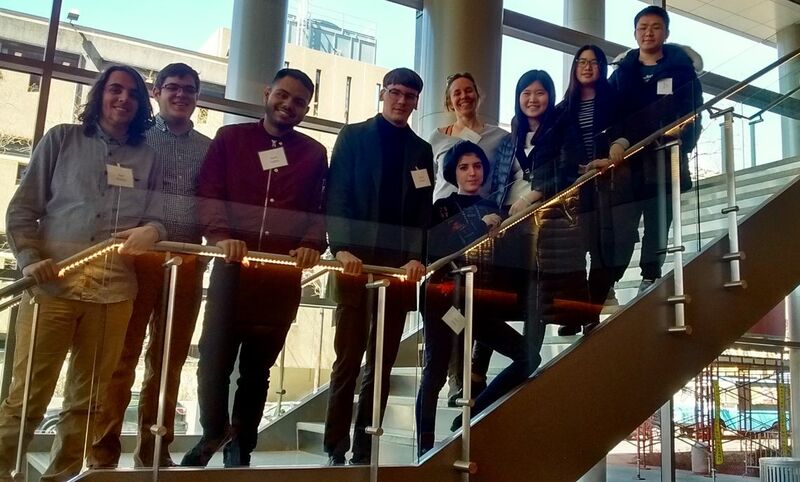 The professor reported the group had a wonderful time exploring Philadelphia and the participants got to meet other mathematicians, graduate students, and undergraduates from many schools at this regional meeting of the Mathematical Association of America (MAA). The students who went also participated in a fun Student Mathematics Competition. F&M students immersed themselves in math for a day with a field trip to the EPaDel spring meeting at Temple University. 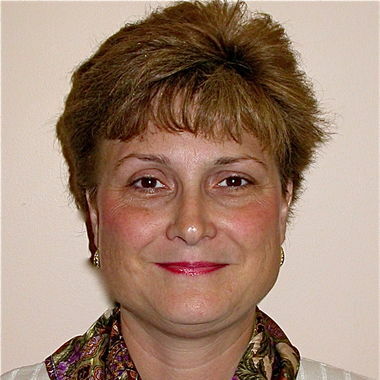 EPaDel is the section of the Mathematical Association of America which covers eastern Pennsylvania and Delaware. The upcoming Fall 2018 meeting will be held in November at West Chester University. Several students in the group presented math talks: Anton Arapin '19 spoke on "The Shape of a Mirror; " Yu Wan '20 explored "The Konigsberg Bridge: A Puzzle from Graph Theory;" Fanzhou "Vickie" Wei '20 remarked on "The Monty Hall Problem;" and Nart Shalqini '21 addressed "Achieving Incompleteness with Self Reference." Katherine M. Kidder’ 18 and Chencheng Zhai ‘18 are the 2018 co-recipients of the Ronald K. Stuart Mathematics Prize. The Stuart Prize is the highest honor the F&M Mathematics Department grants and is “awarded to the student who has completed major work in the field of mathematics with greatest distinction.” The prize is endowed by funds donated to the department, and includes an honorary stipend. The prize is awarded each year to the senior or seniors who accomplish the best mathematical work of all students in the graduating class. The prize is endowed by funds donated to the department, and includes an honorary stipend. 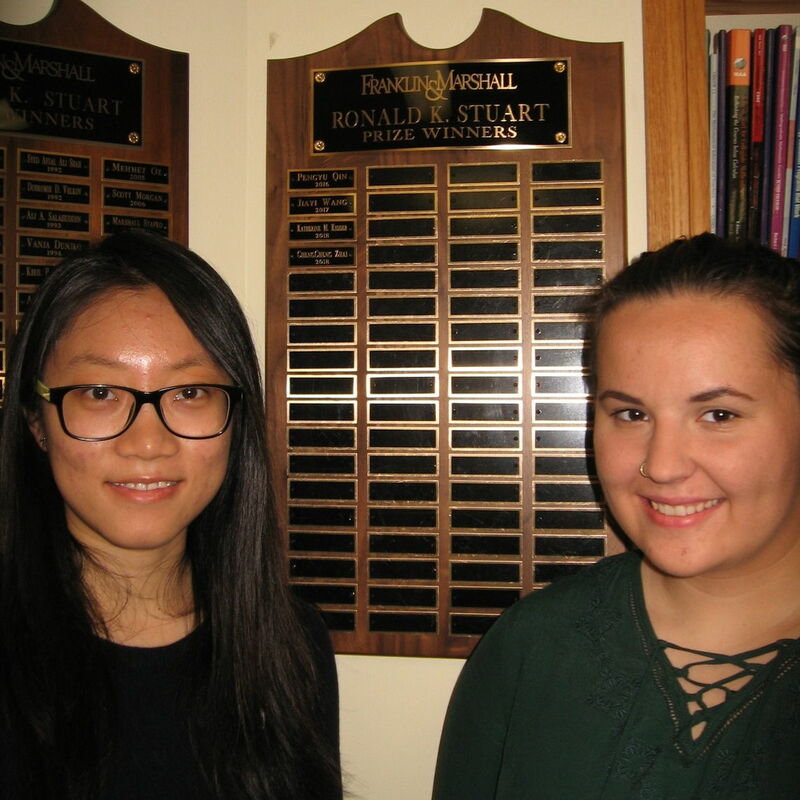 From left, Chengcheng Zhai '18 and Katherine M. Kidder '18 stand near the Stuart Memorial Prize plaque, which hangs in the Math Department Common Room, Stager Hall 211. The prize is awarded each year to the senior or seniors who accomplish the best mathematical work of all students in the graduating class. In addition to the Stuart Prize, fourteen students are the recipients of the 2018 John Kershner Scholar designation. This honor is awarded to students of good and regular standing in the College for “proficiency in mathematics,” and includes an honorary stipend. Tomass Brazovskis ’18, Katherine M. Kidder ’18, Yunghong Li ’19, Hung P. Nguyen ’18, Marko Savic ’18 and Xuan Zhang 18 are second time recipients. 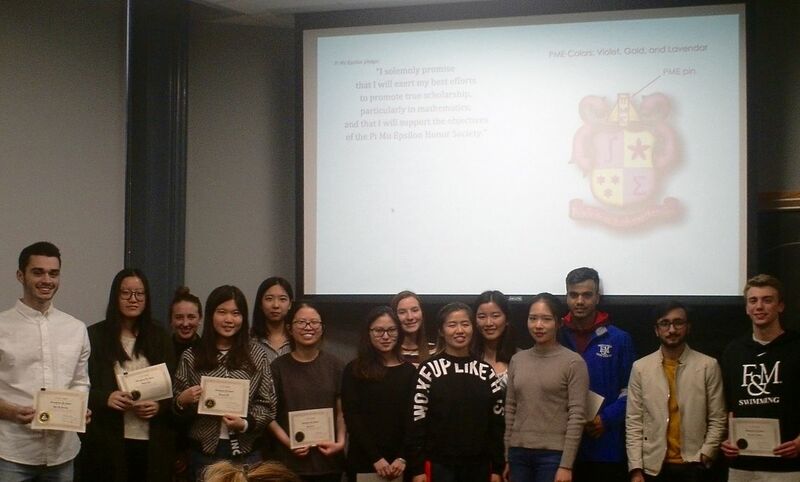 First-time recipients include: Md Faisal Alam ’19, Filip Keri ’18, Yinxi Li ’19, Weihan Lyu ’19, Yuxin Tang ’18, Yanlin Yang ’18, Chengcheng Zhai ’18, and Yuxi Zhu ‘19. 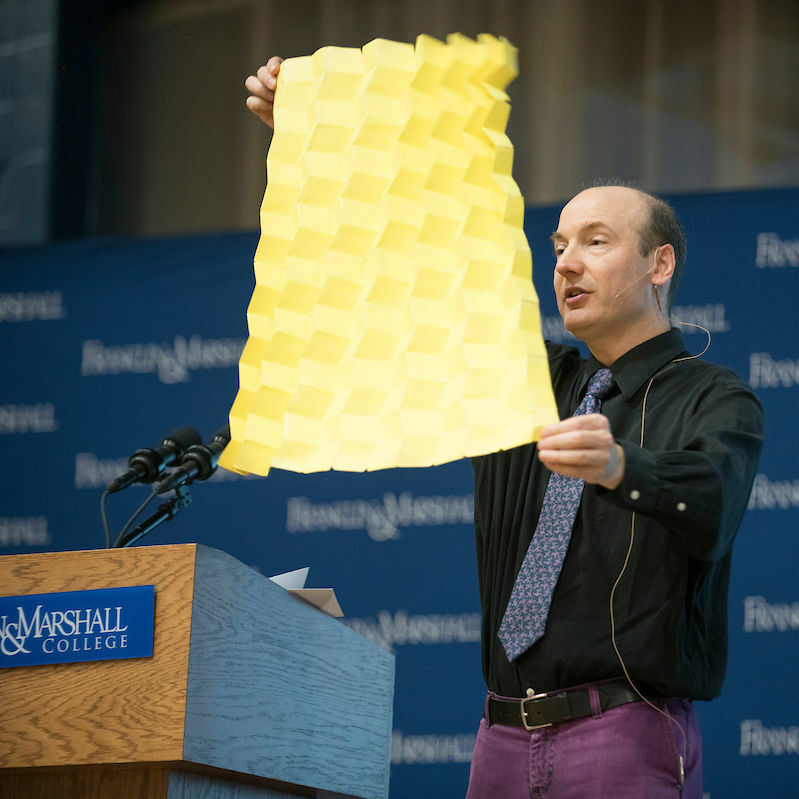 The Math Club, together with the Office of Multicultural Affairs, Art & Art History Department and the Office of the Dean of the College sponsored a recent visit of expert in the field of math and origami, Dr. Thomas Hull, to an F&M Common Hour talk that was open to the entire campus community and the public. 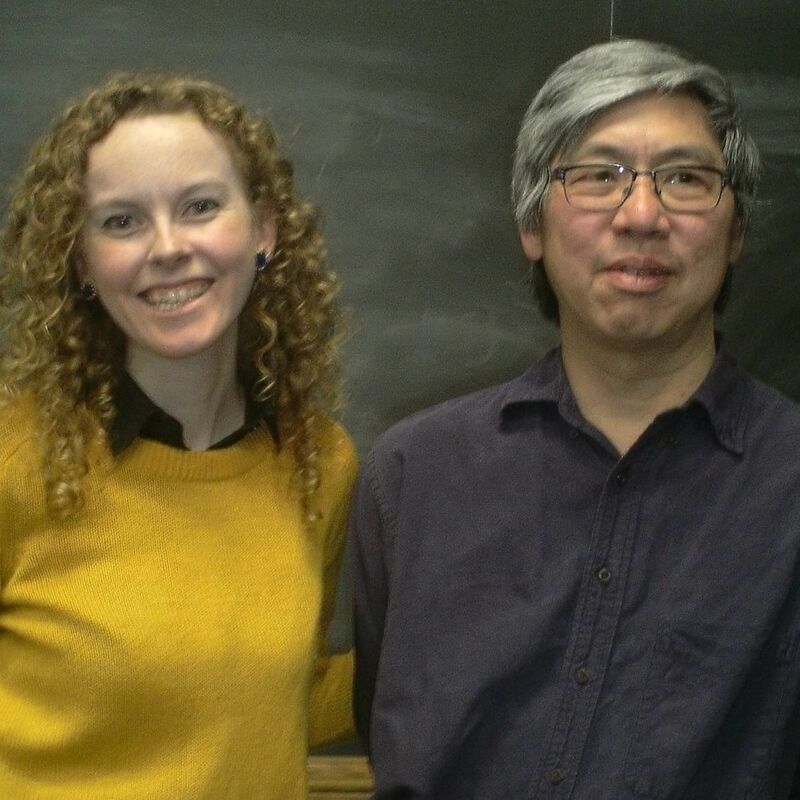 Math Club President Chengcheng Zhai ’18 and the Math Department's Prof. Annalisa Crannell proposed the talk. In addition to the Common Hour talk during his visit, Dr. Hull spoke for the Joint Math Colloquium Series organized by F&M and Millersville University, and conducted a hands-on workshop at F&M’s Faculty Center. 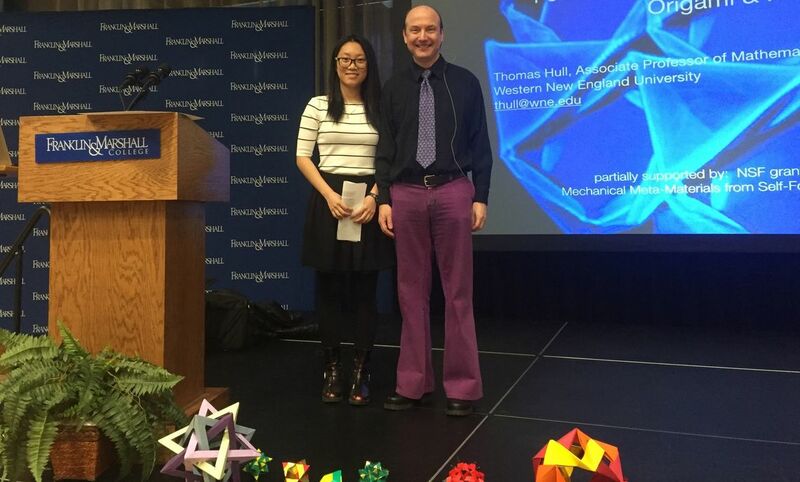 Math Club President Chengcheng Zhai '18 and Dr. Thomas Hull set up the stage for Common Hour, with several of Dr. Hull's origami models in the foreground. F&M and our colleagues down the road in Millersville University jointly present a quasi-weekly mathematics colloquium talk series on Thursday afternoons during the academic year. All are welcome! 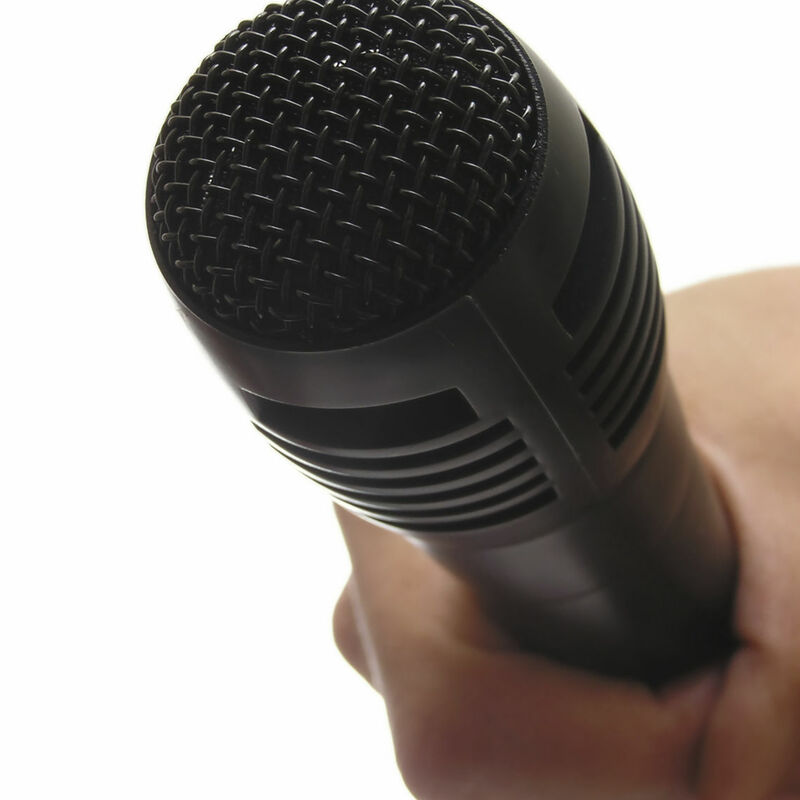 Talks vary in their intended audiences: Some are moderately specialized and technical, while others are very student-friendly. The Spring 2019 schedule is here. 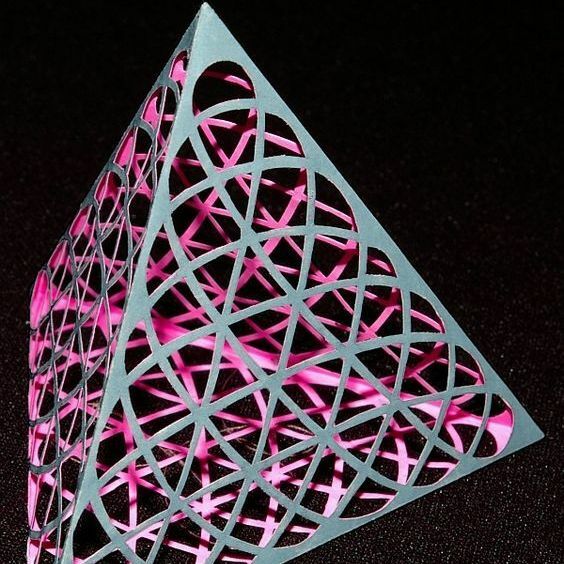 Topologists, geometers, and other interested colleagues from F&M, Millersville University, Elizabethtown College, and Lebanon Valley College (the four vertices of our "tetrahedron") also co-sponsor a monthly geometry and topology research seminar series. We generally meet on the first Friday of each month at Hempfield High School (the approximate barycenter of our tetrahedron), in a math classroom festooned with inspirational Garfield posters. We then relax with a nice dinner out. 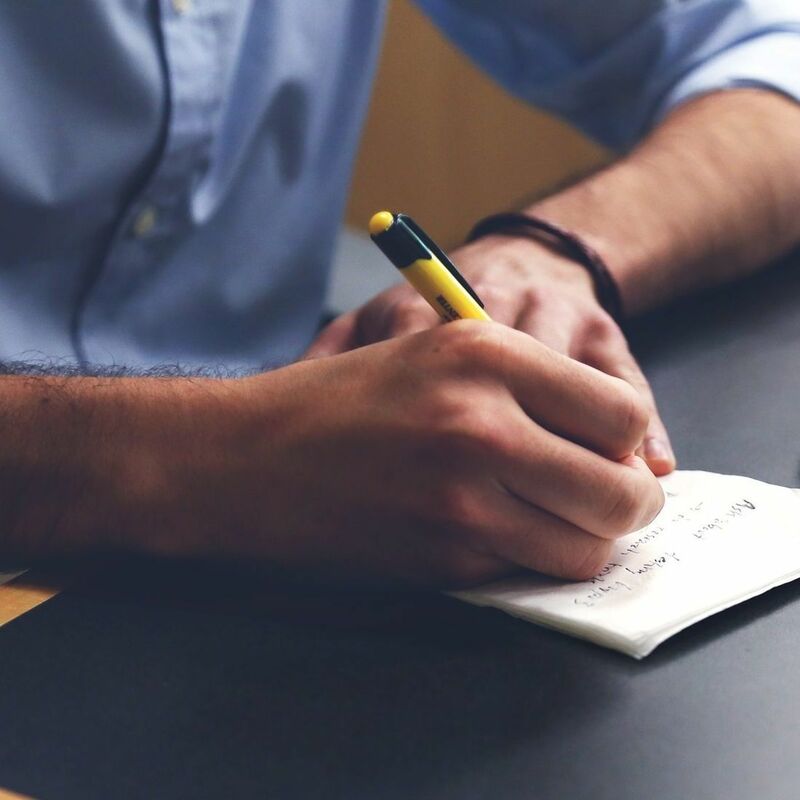 The Putnam Exam is a prestigious, difficult competitive mathematics exam administered annually on the first Saturday in December to students at colleges and universities across the US and Canada. Franklin & Marshall has made good showings in recent years, and we hope to continue the tradition this year. Interested students should contact Prof. Henry Chan at ychan@fandm.edu (Office: STA 204) for more information. 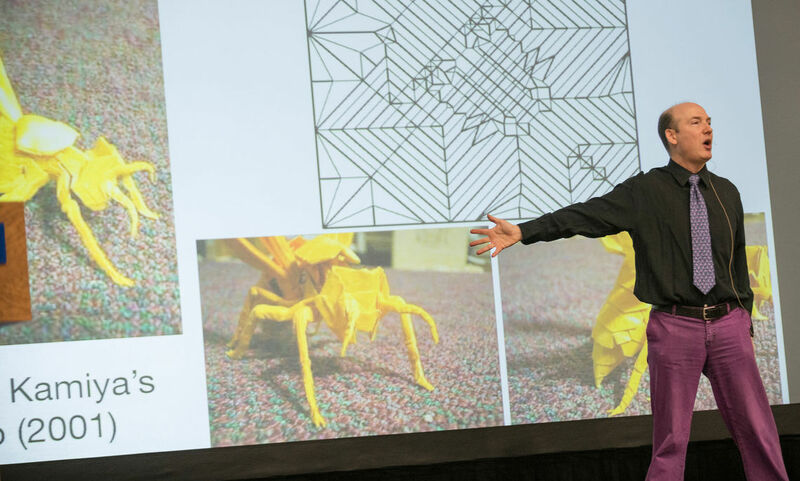 Faced with the challenge of expressing a highly technical math idea called negatively curved space, Professor of Mathematics Barbara Nimershiem discovered her solution in an unlikely medium.